Chris Paine's documentary about General Motors' development and withdrawal of the innovative, environment-friendly EV1 automobile is bound to reverberate with anyone who's fallen in love with a product only to see it irrevocably yanked from the market. 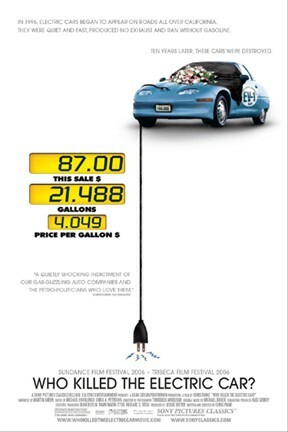 Nihilistic greed was the major factor when GM terminated the car in 2001, though Paine is also careful to note the passivity of the general public. Among his interviewees are Mel Gibson and Phyllis Diller, both EV1 enthusiasts, as well as GM spokespeople and ordinary customers. Martin Sheen narrates. Who Killed the Electric Car? is not showing in any theaters in the area.